New York-based private equity firm Cerberus Capital Management has agreed to purchase a 70 percent controlling stake in Navistar International’s (NYSE: NAV) defense business for an undisclosed sum. Michael Sanford, co-head of private equity and senior managing director of Cerberus, said in a statement published Monday the company plans to leverage its operational and financial experience to build up Navistar Defense’s footprint in the defense vehicle sector and services portfolio. 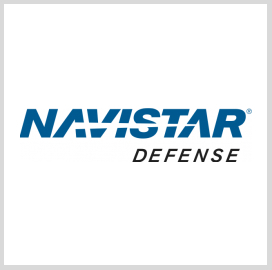 Lisle, Ill.-based Navistar Defense produces tactical vehicles and offers lifecycle support services to military, government and law enforcement agencies worldwide and has delivered about 37K vehicles since 2004 through its dealer network in 90 countries. Both companies expect to close the transaction this year, subject to customary closing conditions. Renaissance Strategic Advisors served as Navistar’s strategic adviser in the transaction, while Kirkland & Ellis LLP advised Cerberus and Navistar on the deal’s legal aspect.